Starting today, with the Tonido Desktop 4.67 release, we are now making media (photos, videos and music) access and management much much simpler and powerful. 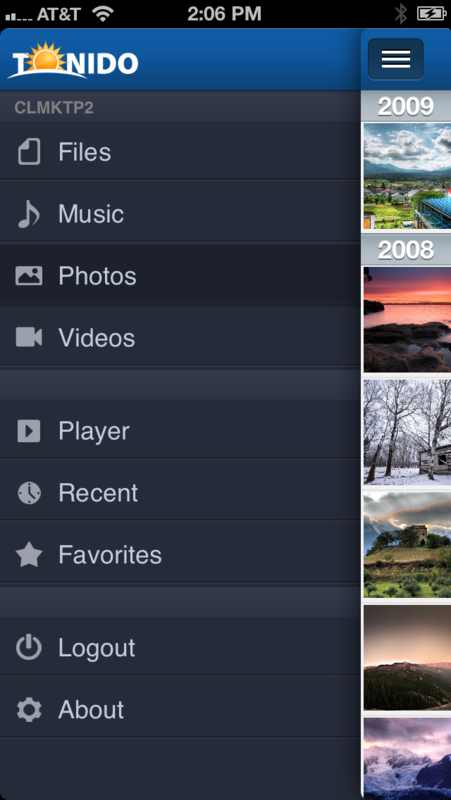 Tonido now supports automatic indexing of your media to organize them and make it available through the new “Photos, Videos, Music” sections. Support for the indexed view of your media is now available immediately through the new Tonido iOS app 5.0 as well. Support for Android is coming soon. This rich media management is not only available for Photos, it is also available for Audio and Videos. See examples below. Media indexing automatically scans your directories and looks for jpegs and parses the exif data inside to organize the photos by year and then month. 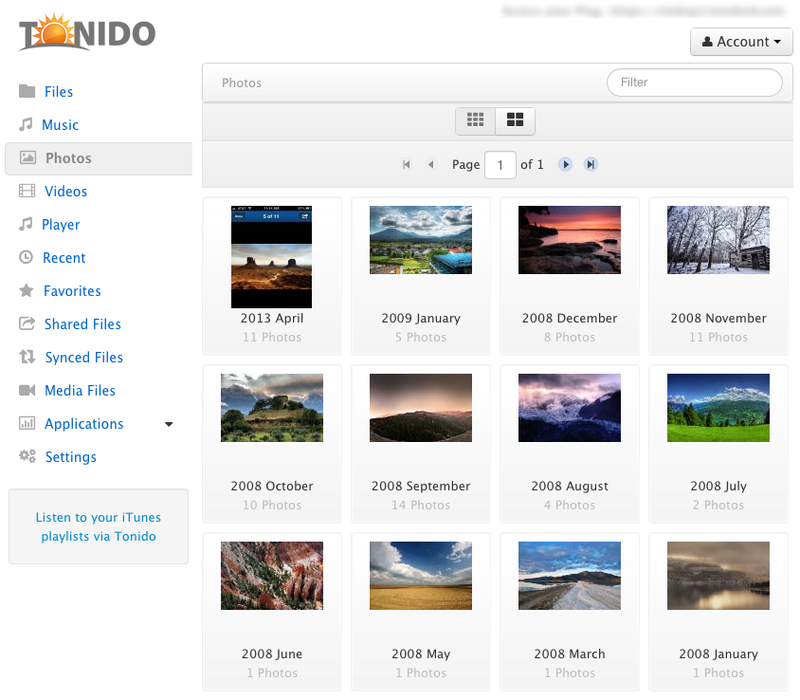 It becomes easy to quickly locate your photos irrespective of how your photos are located across your hard drives. All your audio files are scanned and then organized using meta data present in the audio files. 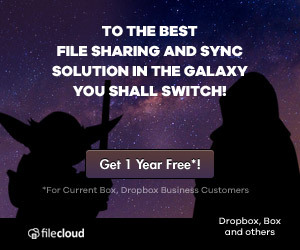 In the absence of meta data, it will use information from the folder name and the file name to make reasonable guesses of the song, artist and album names. All videos are also added to the index, and can be sorted by name or date and played back effortlessly on your iOS device. 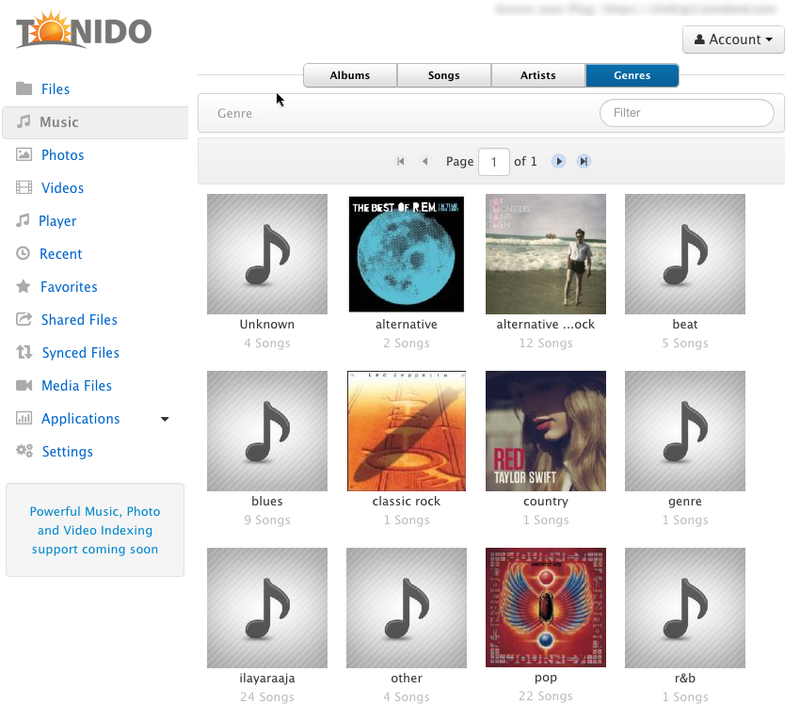 By default, on startup, Tonido will index the default music, videos and photos folders on Windows and Mac OSX. 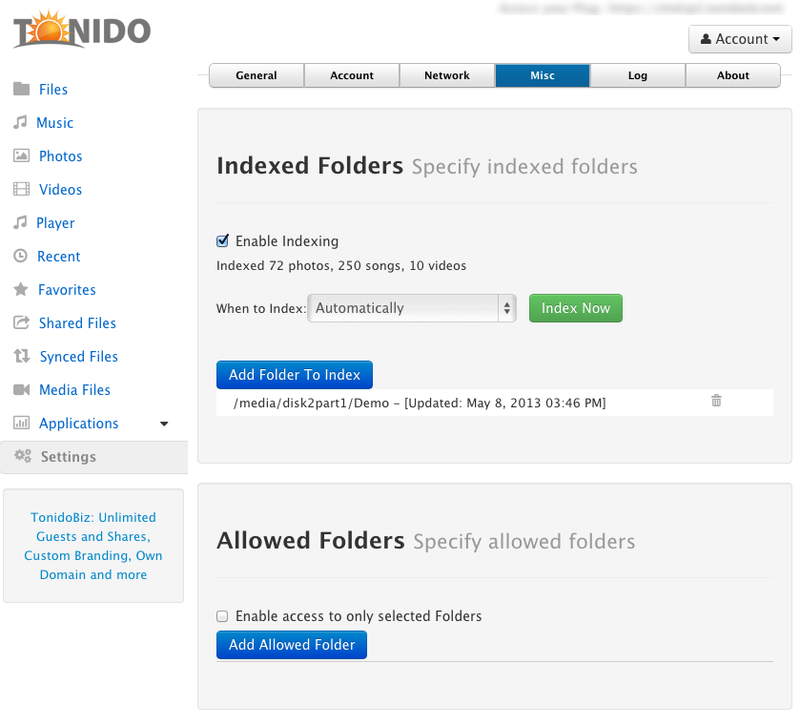 Users can change the folders to index by going to Settings->Misc tab and adding or removing folders. As always, Tonido offers you choices and options with media indexing. You can choose to completely disable Media Indexing by deselecting the “Enable Indexing” option. You can also select how re-indexing happens. By default, re-indexing happens automatically about every 12 hours if changes are detected inside the indexed folders. Note that re-indexing is designed to be pretty fast, on a Mac OSX mac mini server, re-indexing over 30,000 photos and 11,000 songs just takes about 5 seconds! If you don’t want to do automatic indexing you can choose “Manual” indexing and you can initiate a new indexing process to run only by clicking on “Index Now”. Note that you can always run a manual indexing process at any time by clicking on “Index Now” button. We had introduced automatic importing of iTunes playlists in a previous version, but in 4.67 we now support managing this a bit better. You can disable the iTunes playlist import if you want. You can also change the location of your iTunes library location in case it is located in a different directory than the default. This can now be changed by using the Settings->Misc tab. Tonido Desktop 4.67 is now available immediately on Windows, Mac OSX, Linux and TonidoPlug. As always, we are working hard in making Tonido Desktop the best Personal Cloud solution on the planet. Loving the concept of indexing all my photos. However, the indexer is first trawling through my music folders and now all the album covers are now showing up as photos. Other than that, the functionality is astounding! This is great! Fantastic! Will make a huge difference to the amount of use my plug gets. Well done! The UI and indexing are great improvements. So now that you can group music by album, why not be able to sort the album into the correct order (i.e., by song number and not alphabetically)? This is a basic feature of a music player that is lacking in Tonido’s software. I agree with blindspot, it would be nice to set how we want folders indexed so that album art will not be indexed as photos. Is this only available in the paid version? My free version is not indexing! Since the last update on my iphone, it is terrible to continue playing a movie. Now i can’t play a movie from any minute. I have to watch it from the beginning. The fw.bar isn’t doing ok.
Nope. Indexing is available on all versions. Yes. This is in our list. Yes. Currently track number is not being used for sorting. This is in our list of changes planned. Sorting music by track numbers would pretty much make Tonido perfect IMO. I’ve been missing AudioGalaxy for months now and have been searching high and low for a decent replacement. The sort thing is my only complaint about Tonido. Otherwise, a great product. Thank you very much for this incredible *free* product that you are continuing to improve. The instructions have been clarified to relaunch iTunes after the fact, thanks for the heads up! The exe can run without iTunes open in Windows, though that seems rare on the Mac side of the equation. Either way killing the process continues to work to get wireless syncing functioning again in most cases. Hopefully that helps! Hey there! A long Tonido fan from Croatia here 🙂 Wanted to ask if you guys planned to do something for the Apple Watch? Seems like a cool gadget which would definitely benefit from apps like yours!